On Sunday 31st March, Chalk along with Thunder From Heaven and members of OBLI marked the anniversary of Operation Varsity with their usual photoshoot. The location of a farm orchard and buildings added greatly to the atmosphere and TFH also dressed the fields with parachutes and supply containers. 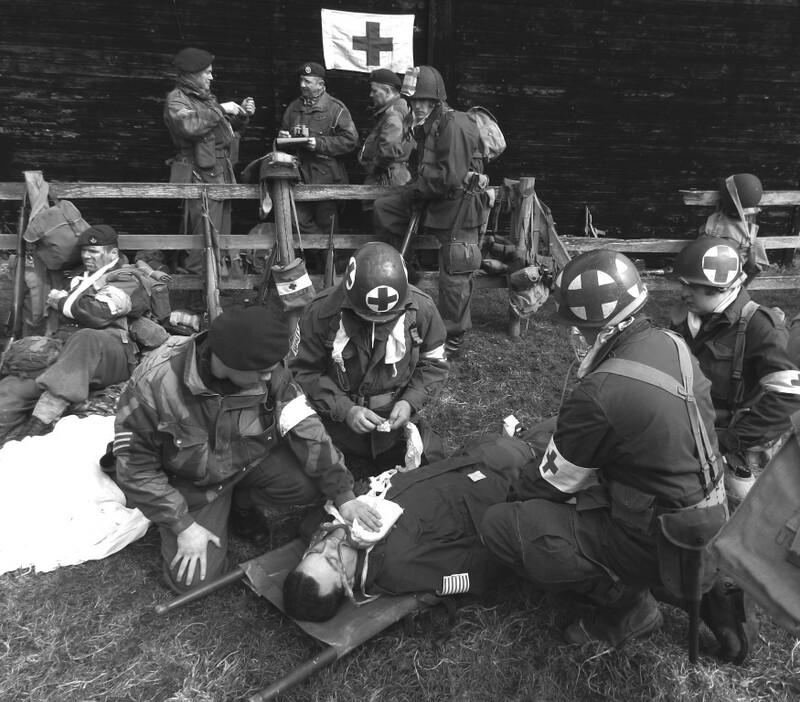 At this time, I'm waiting for more photo's to come to me but for now we have this superb shot of the Aid Station (Chalk GP's in the background and Ethan as an Airborne medic in the foreground) courtesy of TFH member Rich Mott. Please watch this space for more as they come in! 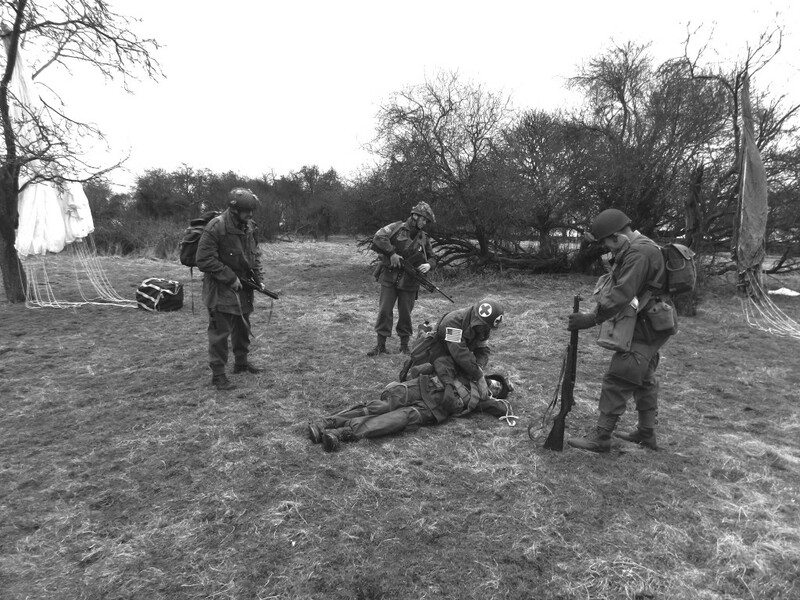 S/Sgt Yates and S/Sgt Johnson look on as a medic helps a US paratrooper injured in the drop. S/Sgt Tolley.V. and Sgt Tolley.E. make their way off the LZ to the forming up point. 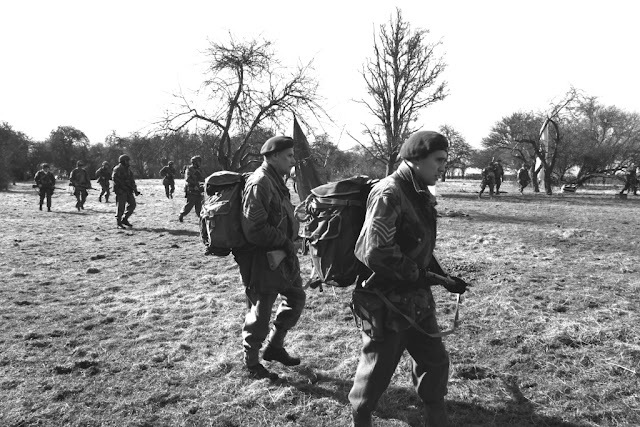 British and American Airborne can be seen in the background. More Eagles added to the nest!